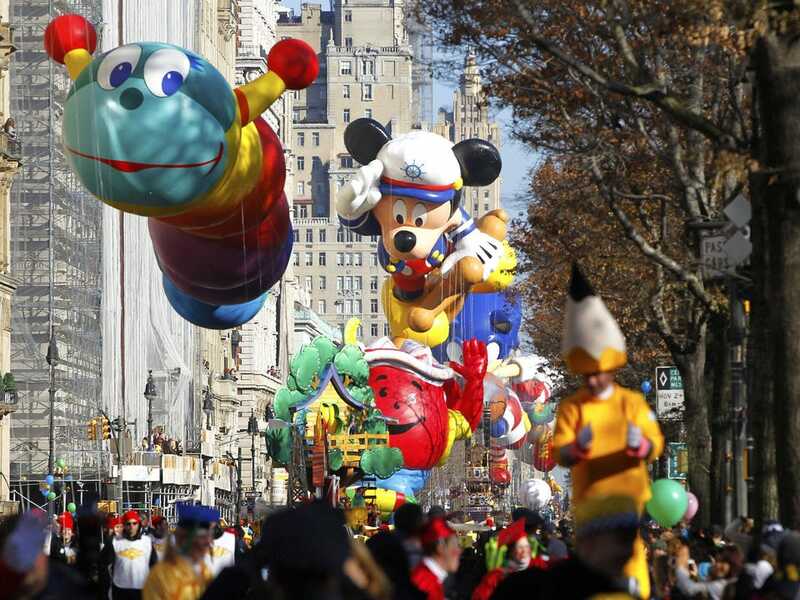 ReutersThe 90th Annual Macy’s Thanksgiving Day Parade will kick off Thursday, Nov. 27. 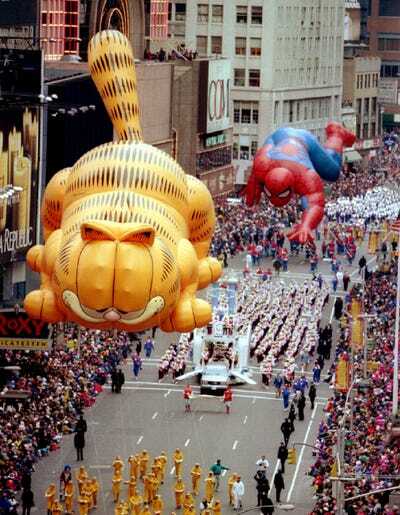 The Macy’s Thanksgiving Day Parade has become an irreplaceable staple of Thanksgiving festivities. 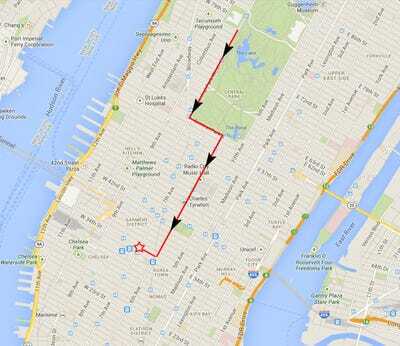 Every year, 3.5 million people flock to New York City to see the parade march down a two-and-a-half mile stretch of Manhattan. Another 50 million people gather around their television sets to watch the event from home. 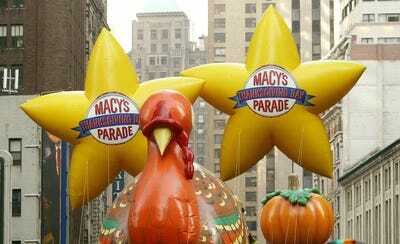 Macy’s 88th Annual Thanksgiving Day spectacle will feature appearances from Idina Menzel, KISS, and The Vamps. Six new balloons including Paddington Bear will make their debut in the parade. Christina Austin and Jennifer Michalski contributed to this report. 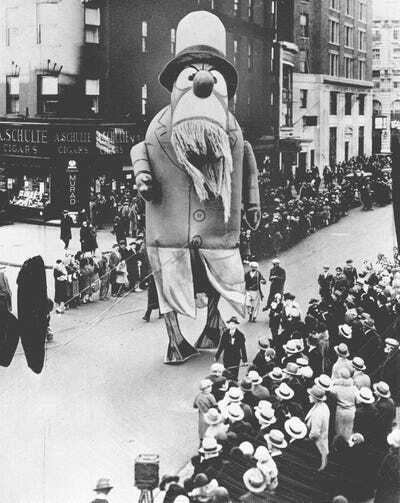 A Captain Nemo float makes it way through the streets of Manhattan during the 1929 Macy's Day Parade. Note: This is not Tony Frederick Sarg. 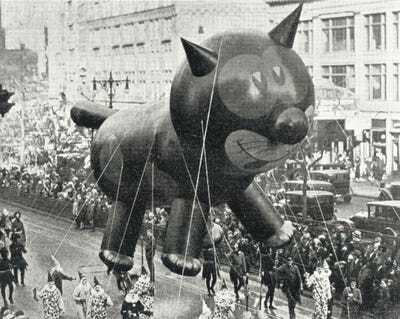 Felix the Cat was the first balloon used in the parade. 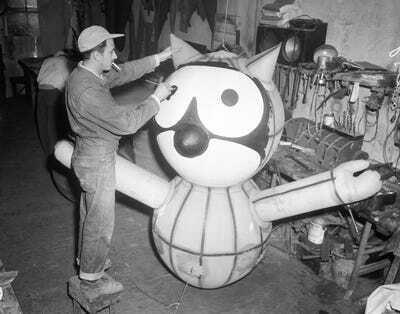 The original balloons were made of rubber and filled with air. 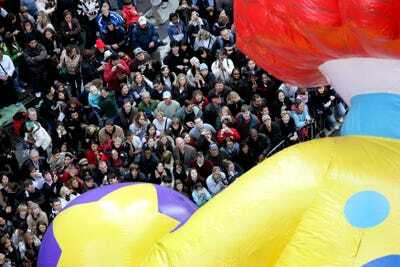 Today's balloons are made of polyurethane and filled with helium. 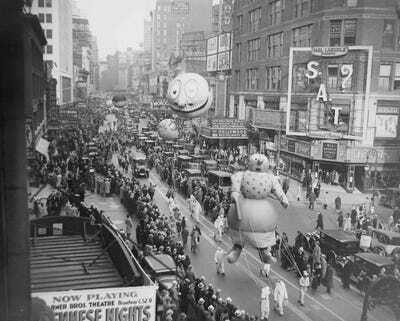 The parade passes down Broadway in 1930. 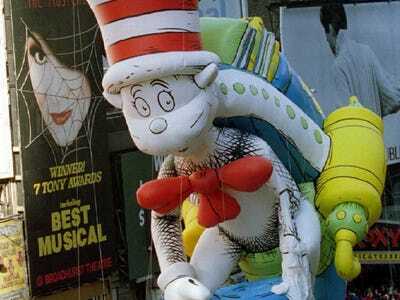 The Rugrats balloon passes through Times Square during its 1997 debut. 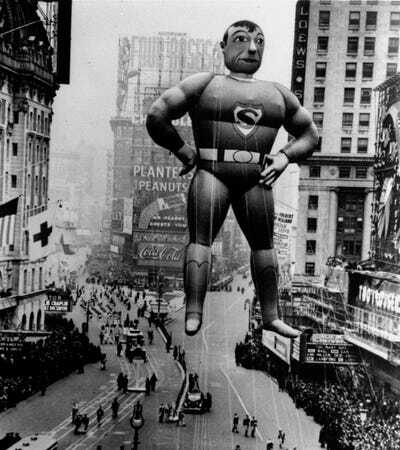 During WWII's rubber and helium shortage, the parade was canceled for three years from 1942-1944. 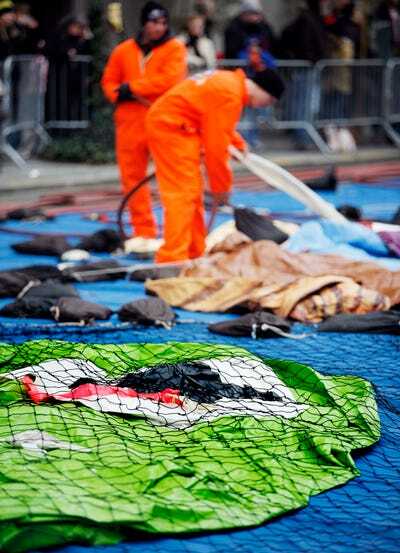 Balloons were deflated and donated to the government. 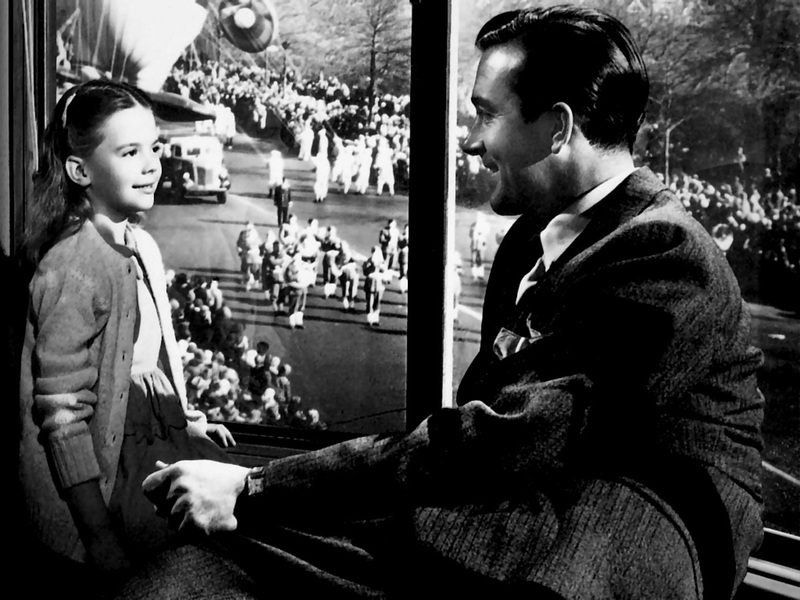 In 1947, the parade was broadcast for the first time on network television nationally. According to Nielsen, an estimated 14.2 per cent of American households watched the CBS coverage of the parade in 1951. 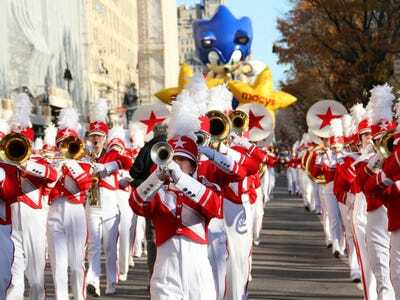 In recent years, approximately 30 million people tune into CBS's and NBC's coverage of the parade. Initial telecasts were only an hour long. 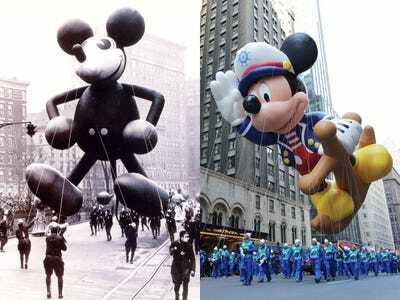 Throughout the 1960s, the parade went back and forth between 90 minute and 2 hour broadcasts before settling on a three-hour long airing in 1969. 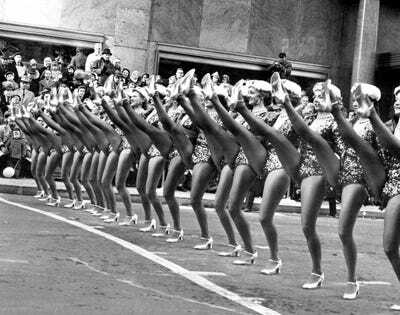 The Radio City Rockettes have appeared in the parade since 1957. In order to be a Rockette, a dancer must be between 5'6' and 5'10½' and demonstrate proficiency in tap, jazz, modern dance, and ballet. They must also be able to perform the signature eye-high kick. 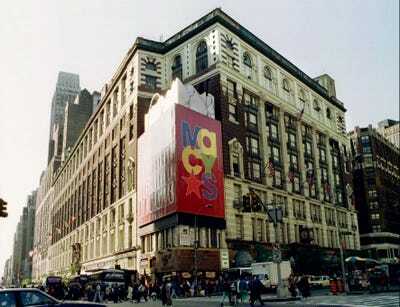 Broadway appearances have been a parade regular since 1980 when the cast of 'The Pirates of Penzance' were featured. 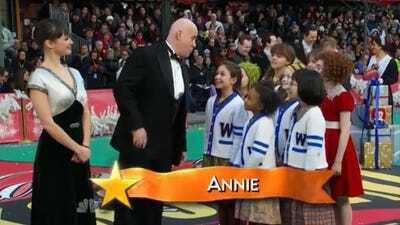 The cast of 'Annie' performed in 2012. 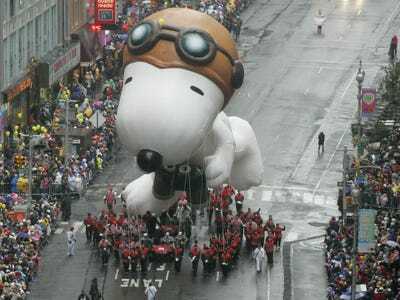 Snoopy has appeared in more parades than any other character. There have been seven versions of the Snoopy balloon in his 38 Thanksgiving Day parades. 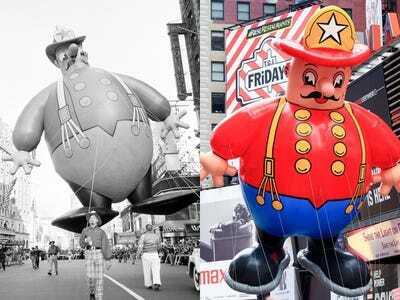 In 2006, wind measurement devices were installed to alert parade organisers to any unsafe balloon-flying conditions. Besides being used in publicity material and the ID badges worn by the parade staff, the official parade logo is rarely seen. See this year's logo here. 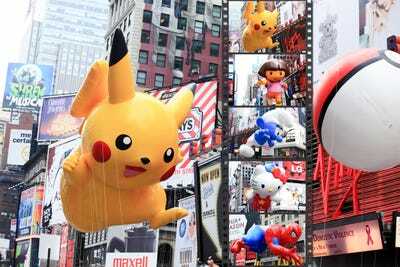 This year's parade will feature six new balloons and five new floats including the Red Mighty Morphin Power Ranger and a new Pikachu. Many celebrities will be in attendance at Macy's Thanksgiving Day Parade.